Le travail des 6 réalisatrices et réalisateurs montre une Afrique moderne et cosmopolite et bat en brèche les clichés persistants sur le continent. Ce projet de courts métrages met l’accent sur des réalisateurs talentueux de six pays africains. 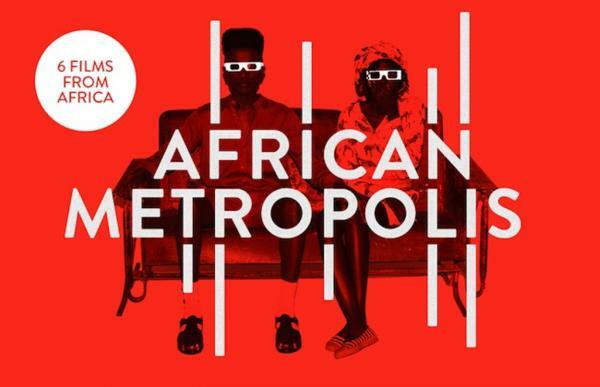 Le projet de film African Metropolis (Métropoles africaines) est une initiative du Goethe-Institut d’Afrique du Sud et du Producteur délégué sud-africain Steven Markovitz, avec le soutien de la Guaranty Trust Bank et du Fonds Hubert Bals qui relève du Festival International de Cinéma de Rotterdam (Hollande). Les courts métrages sont tournés à Lagos (Réalisateur : Folasakin Iwajomo), Abidjan (Réalisateur : Philippe Lacôte), Dakar (Réalisatrice : Marie KÂ), Johannesburg (Réalisateur : Vincent Moloi), Cairo (Réalisateur : Ahmed Ghoneimy) et Nairobi (Réalisateur : Jim Chuchu). The filmmakers’ work shows the face of a modern and cosmopolitan Africa and challenges longstanding clichés about the continent. Project highlights directing talent in seven African nations. The African Metropolis Short Film Project is an initiative of the Goethe-Institut South Africa and South African executive producer Steven Markovitz, with support from Guaranty Trust Bank and the Hubert Bals Fund of International Film Festival Rotterdam. The short films are set in Lagos (Director: Folasakin Iwajomo), Abidjan (Philippe Lacôte), Dakar (Marie KA), Johannesburg (Vincent Moloi), Cairo (Ahmed Ghoneimy) and Nairobi (Jim Chuchu). happiness. Will he overcome mass extinction and his own timidity and get the girl? A fun, warm, light-hearted look at obsession and the desire to be seen. Film Festival Tunisia, October 2010.
weekly assignation with a kindly prostitute, for which he prepares days in advance. But when her unexpected replacement arrives one Friday, an initially angry response sparks a chain of events that ultimately changes the way the old man sees his world. A gentle, poetic ode to the power of reinvention. ground-breaking documentaries including A Pair of Boots and Bicycle, profiling black South African soldiers in WWII; Nightsweepers, an earnest examination of women sweeping the streets of Johannesburg at night; I am A Rebel about a South African author and Robben Island anti-apartheid prisoner turned anti-capitalist activist. With his African Metropolis inclusion Berea, he revisits themes of diminished power he first explored in Men of Gold, his 2007 documentary reflecting the contradictions of being poor, white, previously privileged and now disempowered in a post-apartheid world. Makgano Mamabolo matriculated as a Drama student at the National School of the Arts and then went onto acquiring her Bachelor of Live Performance from AFDA in 2001. She has since been working as a professional actress for the past five years, having covered a spectrum of genres from presenting, to soapie, to sitcom, to drama, to film, as well as performing Miss Kwa Kwa, her one woman show for theatres country wide during all this time. She is not just an actress however, but moves comfortably from in front of the camera, to behind the scenes. Apart from having directed and produced television magazine show inserts for DSTV, she has for the past three years also been a Conceptualist for programmes such as Home Affairs, Mazinyo dot Q… spanning from drama to comedy, but more so a Writer, for programmes such as Fela’s TV and Nomzamo. She is now moving into the next progressive step in her career as a Creative Producer, with her first programme being SOCIETY, under Puo Pha Productions – a production company she is co-partner of. Washington DC. Having worked mostly in television, she along with her production company are delving into the development of feature films. feature film, Run, coproduced by Arte, which is the junction of his fiction and documentary approaches. Lacôte was part of the Cannes Film Festival’s Cinefondation programme. Programme of the European Union and in partnership with 30 European film archives. Since 2008, Claire Gadéa has been working at Banshee Films as a producer. She is currently producing Run, Philippe Lacôte’s first feature-length film, in partnership with Wassakara Productions, Diam Production, Arte France CInéma, Canal + Afrique, Onac-Ci, CNC, OIF, Bac Films. beyond conventional norms. The intimacy has the potential to blow apart a stable domestic situation, but it also has the potential to rewrite the story of both women’s lives. A bold and exquisitely tender film, beautifully acted and sensitively filmed against the backdrop of colourful, beguiling Dakar. make spurs him on – he is desperate for the money to pay for a child’s operation. But what price being chosen? Iwajomo’s spooky, disturbing film confronts the perils of the poverty trap and the abuse of the desperate, in an allegory for the exploited. HIV/AIDS with his film Point Blank. Victor Okhai is a producer, scriptwriter, director and film consultant. One of the founders of the Directors’ Guild of Nigeria, he was a scriptwriter with the New Village Headmaster, the New Masquerade and Second Chance all on NTA’s Network service. He was also Assistant Director/Assistant Producer for Zanani, a 16mm feature for UNESCO/NFC and Assistant Director, Doctors’ Quarters a medical series on MNET. He has produced and directed several home movies and television series and was series producer for the BBC World Service Trust’s radio drama STORY STORY. He has been filming features for the BBC world service news and the series « African Dreams » and has line produced for most of the major global television networks including CNN. Okhai has sat on several film contest and festival juries and acts as a consultant to various local and international organizations including UNICEF, Goethe Institut, Human Rights Watch, the government of the Republic of Cameroon on Cinema etc. and is Kodak’s reseller in charge of Nigeria, Ghana and Cameroon. Adham, a young lad from Alexandria travels to Cairo to pursue his musical career and rebound with his old friend, Amr, a member of his former band who has since attempted to settle his life. Ghoneimy, who studied directing through FAMU in Prague, is an Alexandrian native, where he majored in Expressive Arts and studied filmmaking at the city’s Jesuit Culture Centre. Stints as a cameraman and assistant director were followed by his own critically-acclaimed work being made – his second short fiction film, Bahari won the Hamburg short film award at the Hamburg Short Film Festival, and had its European premiere at the Rotterdam International Film Festival. Egyptian filmmaker and producer Tamer El Said was born in 1972 in Cairo; he studied filmmaking and journalism and went on to make many documentaries and short films that received several international and local awards. In 2007, Tamer El Said founded Zero Production to produce independent films. He is currently setting up Cimatheque – Alternative Film Centre in Cairo, to support independent and alternative cinema in Egypt. He is also finishing his first feature length film, In the Last Days of the City due for release in the coming winter.